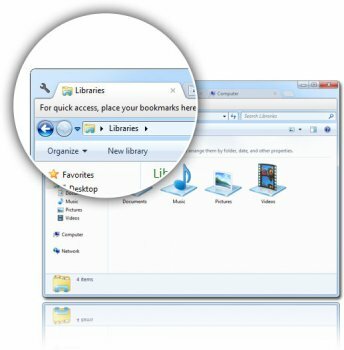 Clover is an extension of the Windows Explorer to add multi-tab functionality similar to Google Chrome browser. After install Clover, you will be able to open multiple folders within the same window, and you can also add folder bookmarks. I don't understand why the new installer is in Mandarin. The green button in the center you would need to click to install. The button on the right of the path you need to click to change the default installation folder. It seems to be stable so far on the lastest build of WIndows 10. I took off 1 star for the forced language on the installer. Now the setup is in chinese, people that don't speak chinese cannot know what is installing this program, really a shame. I tried Clover a while ago, and I thought it was great, the way XtraFinder can be on OS X, so I though I'd give this version a spin, just to see if the dev(s) got the little issues I had in past ironed out. Turns out the installer prompts a security message from Windows, and if you decide to "execute anyway", the installer is in Chinese, with no obvious option/way to choose a different language. I dont have any problems mentioned below. Great app and still getting better. Excellent add-on. Now I have switched back to explorer from alternatives. Double click to goto parent folder is a good feature which is the one I needed the most. Thanks to the author.